Hotel executives will tell you that their business is pretty simple: You need heads in beds at the highest possible rate. How lodging REITs and their competitors perform, however, often depends on which heads they want for their beds. Overall, RevPAR (revenue per available room) growth for hotel REITs in 2016 was 3 percent, according to Simon Yarmak, director of equity research for Stifel Nicolaus & Co. That was softer than RevPAR growth of 6.25 percent in 2015 and 8.5 percent in 2014, he says. Observers point to fewer business trips as the main culprit behind the slower growth of REIT-owned hotels. The corporate sector accounts for about 75 percent of demand in higher-end hotels, which most lodging REITs own, according to Lukas Hartwich, senior analyst of lodging and data centers for Green Street Advisors. However, hotel companies that target leisure vacationers are contributing to the general sector slowdown. Yarmak notes that an uptick in supply in major markets, particularly New York, and reduced demand from foreign travelers because of the strong U.S. dollar are impacting this segment of business. “There’s been a little pick-up in leisure travel, but not as much as was anticipated in spite of low gas prices,” Yarmak says. DiamondRock Hospitality Co. (NYSE: DRH), caters to a customer base made up of one-third leisure travelers, one-third group business travelers and one-third business transient travelers (those who travel for work and have short stays that often arise at the last minute). That gives Mark Brugger, president and CEO of DiamondRock, a comprehensive perspective on the state of the lodging sector. Apple Hospitality REIT’s (NYSE: APLE) 2016 RevPAR growth, which was 3 percent year-to-date through September, slowed to 1.5 percent during the third quarter. COO Krissy Gathright says this is partly a reflection of the fact that 70 to 75 percent of the company’s revenue is attributable to business travel, while group and leisure travel were the strongest contributors to growth in the third quarter. She highlights political uncertainty as another contributor to more modest growth. Yarmak says the pull-back in transient business travel is particularly damaging because that group of travelers tends to pay the highest rates. Once again, a surge in corporate profits could ease that pain. To offset sluggish business travel, Condor Hospitality Trust (NASDAQ: CDOR) invests in crossover hotels in locations that appeal to both business and leisure travelers in midsize cities, according to J. William Blackham, the company’s president and CEO. Condor focuses on properties in cities ranked between 20th and 60th in terms of the size of their economies. Leisure travelers make up about one quarter of total lodging demand, according to Green Street. Consumer confidence, in particular, influences this travel segment, along with lower gas prices and wage growth. According to Brugger, leisure travelers have been a bright spot for DiamondRock, particularly at the resort hotels the company purchased. DiamondRock’s top-performing properties in 2016 include hotels in spots such as Key West, Florida, and Charleston, South Carolina. However, the leisure segment is still dealing with the effects of a strong dollar, which has cut into demand from foreign travelers. Additionally, it’s influencing the decisions of U.S. vacationers. Green Street’s research shows that foreign travelers are sometimes offsetting the impact of the stronger U.S. dollar by staying fewer nights in the country. In other instances, they’re choosier about how much they’re willing to spend, according to Brugger. By way of example, Brugger points out that 16 percent of DiamondRock’s New York customers are international, versus an 8 percent rate across the company’s portfolio. Revenue in New York was down 4 percent for DiamondRock in 2016, even though its international occupancy rate was the same as 2015. Following the presidential election, Brugger says investors are feeling optimistic, anticipating a growing economy in the short term. Still, he says DiamondRock is proceeding with caution. We invest in properties in cities that are ranked between the 60th and the 20th metro areas in terms of the size of their economies. 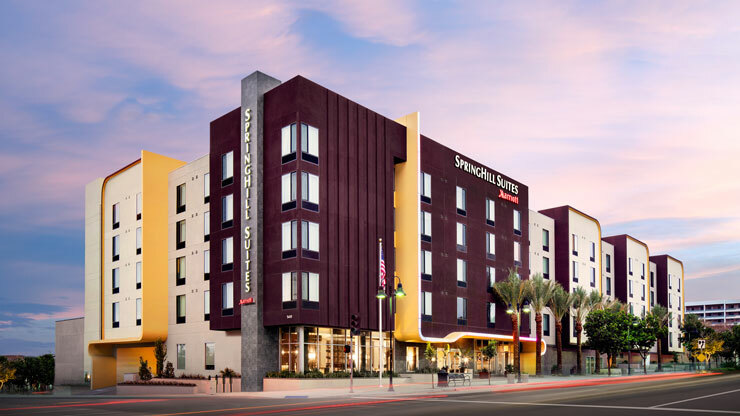 Brugger believes hotel companies will feel pressure to execute large deals like the Starwood-Marriott merger to compete for customers. Meanwhile, an increase in interest rates could be positive for lodging REITs, according to Yarmak. When it comes to how specific lodging REITs are performing in the current environment, observers say brand loyalty programs can make a difference. Domestic travelers are more likely than international travelers to be loyal to a particular hotel brand, Hartwich says. Meanwhile, he notes that business travelers tend to be more brand loyal than leisure travelers. Consequently, REITs that own a larger number of hotels in a particular brand might see a positive or negative impact on profitability from loyalty programs, Hartwich says. “Loyalty programs are adapting to younger guests, who want instant gratification, such as a glass of free wine or more bonus points upfront,” Gathright says. She also cites apps and website reservations as keys to locking down travelers’ business, especially in light of competition for their attention from online travel agencies. Notably, Yarmak says millennials are more likely to use online travel agencies and to set up price alerts for rebooking.